Ballina has a population of over 10,000, making it the second-largest town in Connacht, behind Castlebar. As of January 2016, the average price of a house in Co Mayo was €122,000, versus the national average asking price of €204,000. In line with national trends, house prices in Mayo rose by an average of 6 percent in 2015, compared to the national average of 8.5 percent. There’s a warmth and welcome awaiting you in the West, where you’ll get to know your neighbours and better still; they’ll become your friends. 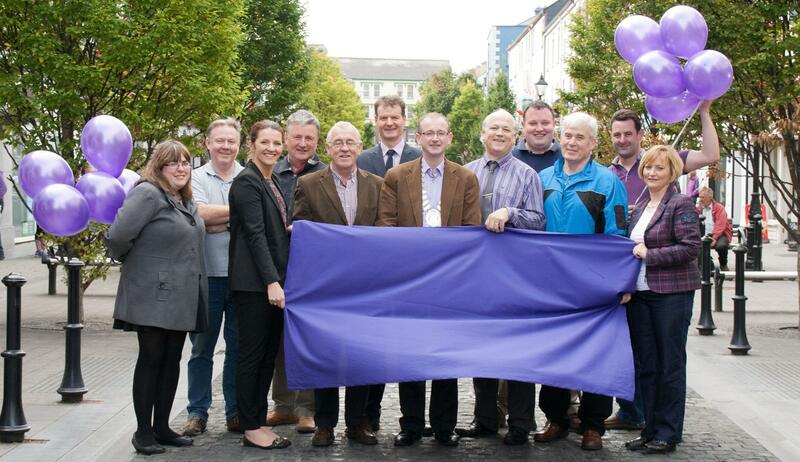 In 2014, Ballina became the first town in Connacht to secure a Purple Flag award. This internationally recognised accreditation for towns and city centres was awarded in recognition of the town’s vibrant, varied and safe night-time economy, and became only the fifth fifth location nationally to have achieved the standard necessary for the awarding of the Flag, following Dublin City’s Creative Quarter, the towns of Ennis, Killarney and Bray. Town centres that receive the award must score highly in wellbeing (safety and cleanliness), movement (traffic flow and public transport), broad appeal (appeal for people of all ages and interests), place (vitality and cultural stimulation), and policy envelope. It is the “gold standard” for night time destinations, and is similar to the Blue Flag given to our finest beaches and the Green Flag that flies in our most eco-friendly schools. We can guarantee that you will never be bored in Ballina. There are almost 100 active groups and clubs in operation, catering for almost every interest from Archery to Zumba! If fitness is your thing, you can take your pick from cycling, athletics, swimming, yoga, rugby squash, basketball, gaelic football, hillwalking, triathlon and soccer, among many more. If it’s something less physical you’re after, take your pick from the mix of amateur drama groups, choirs, art clubs, Macra ne Feirme and other welcoming groups. No matter what your age or interests, there is always something to do in Ballina. The Western People, owned by the Cork-based Thomas Crosbie Holdings is a local newspaper based in Ballina. Two weekly freesheets, the Mayo Advertiser and The Northwest Express are distributed throughout Ballina. The Connaught Telegraph, published in Castlebar and the Mayo News published in Westport, also carry local news. Ballina Community Radio is based in the town and regional station Mid West Radio has an office in the town. Other local schools include Ardagh NS (National School), Foxford Central National School, Shraheen NS, Cloghans NS, Behy NS, Knockanillo NS, Killala NS, Garracloon NS, Scoil Naisiúnta Naomh Seosamh, Carra NS, Scoil Naisiunta Na Craobhaighe, Cooneal NS, Currabaggan NS, Crossmolina NS and Culleens NS. The Galway–Mayo Institute of Technology campus in Castlebar is a 35-minute drive from Ballina. The Newman Institute offers third level degrees in Theology and Community Involvement. Institute of Technology, Sligo (IT Sligo) is just under an hour’s drive from Ballina. The National University of Ireland, Galway (NUIG), as well as being located just 1.5 hours away, will have a presence in the town from 2017 with the opening of the Mary Robinson Centre. Easy access to third-level education means Ballina can provide many of its local businesses with qualified graduates in a range of fields including Business, Science & Technology and Engineering.